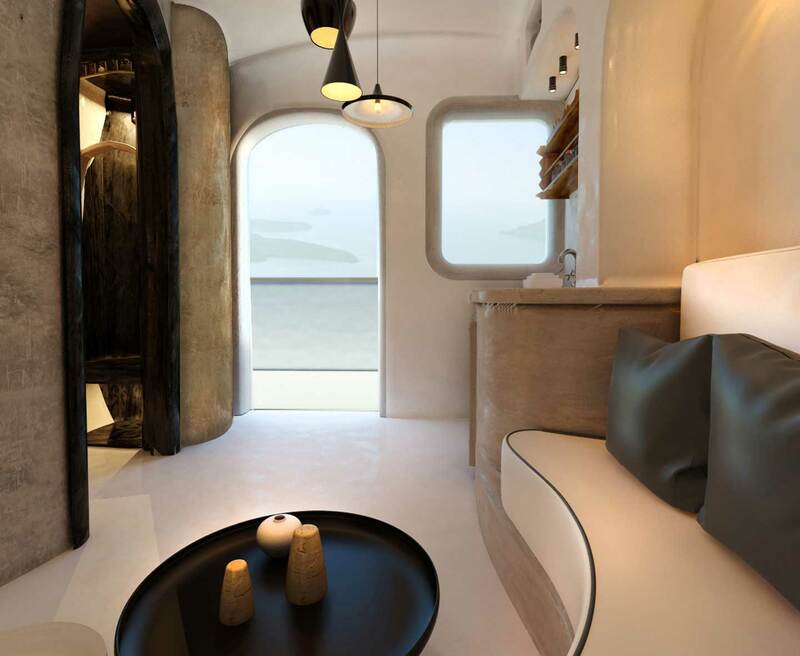 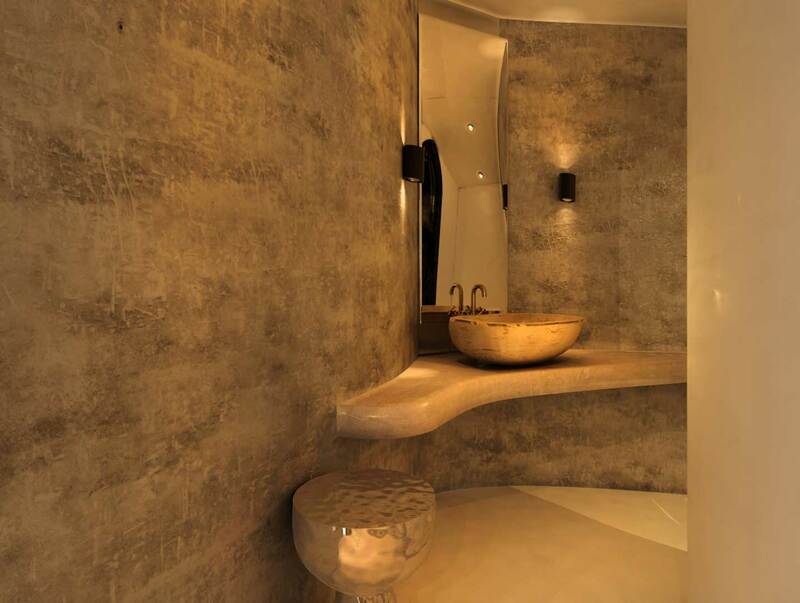 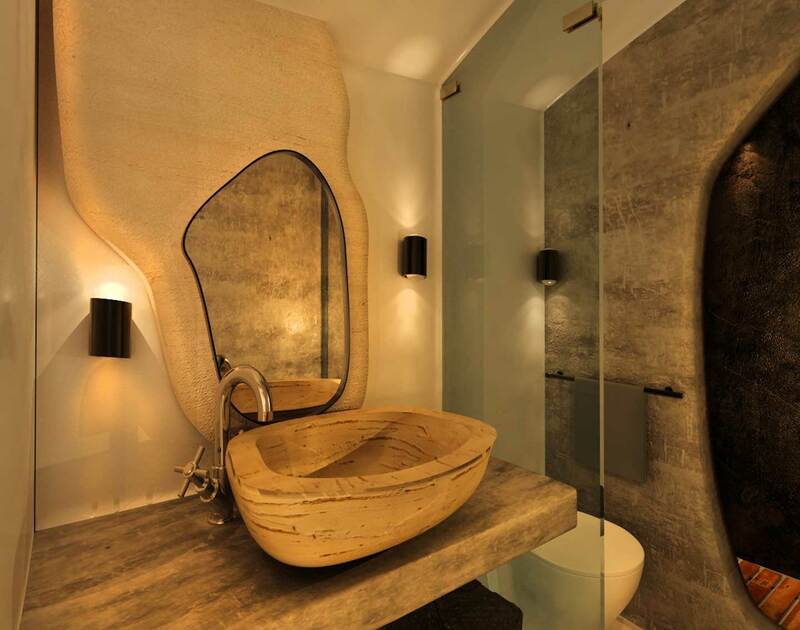 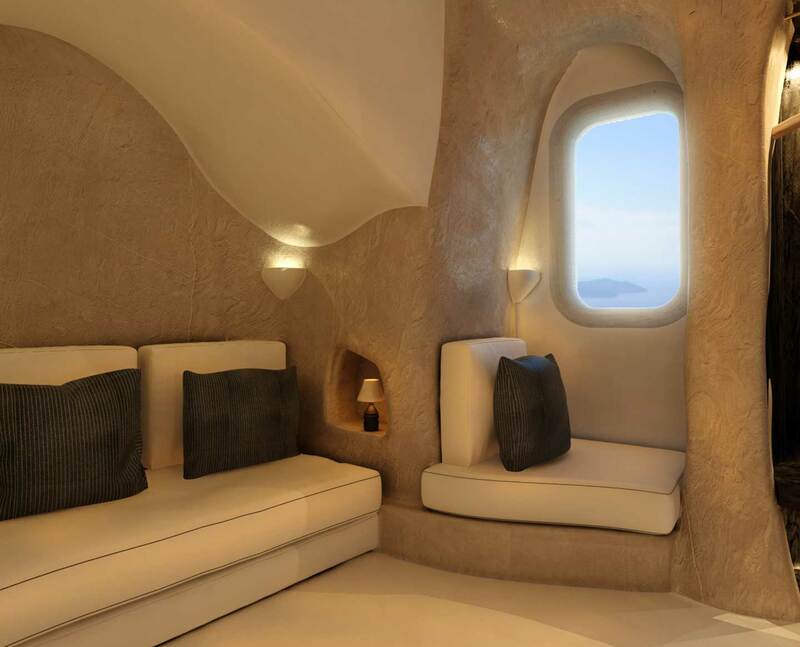 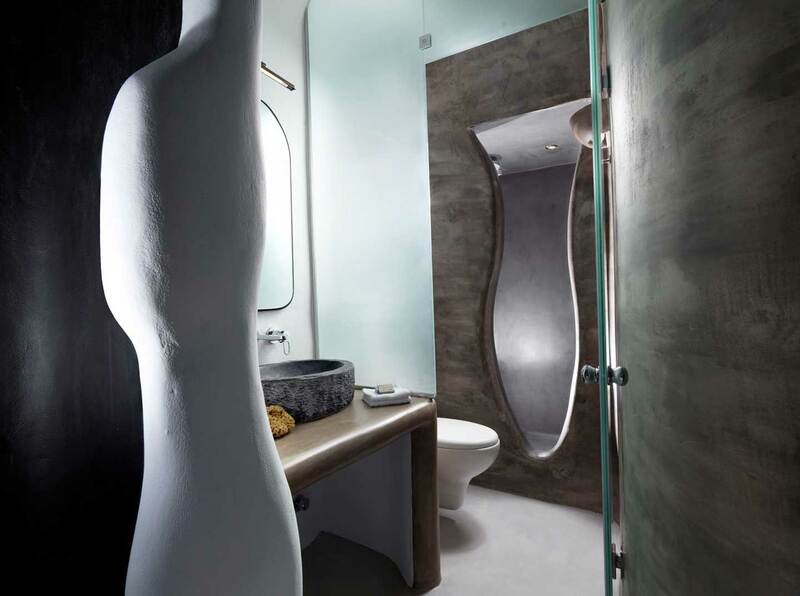 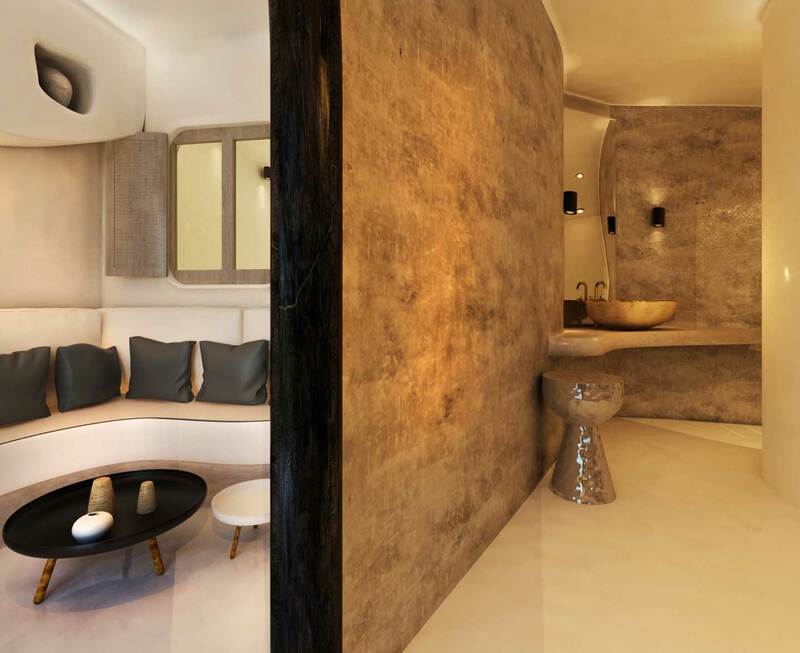 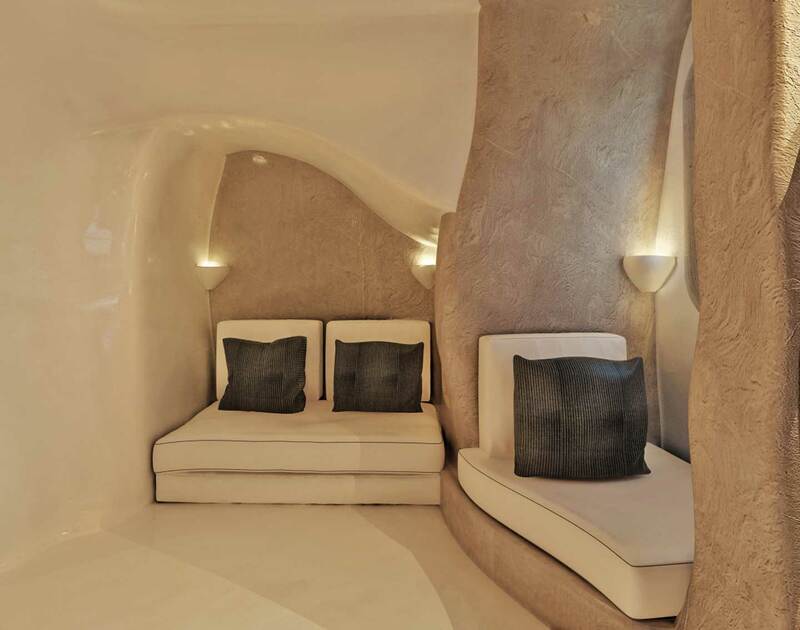 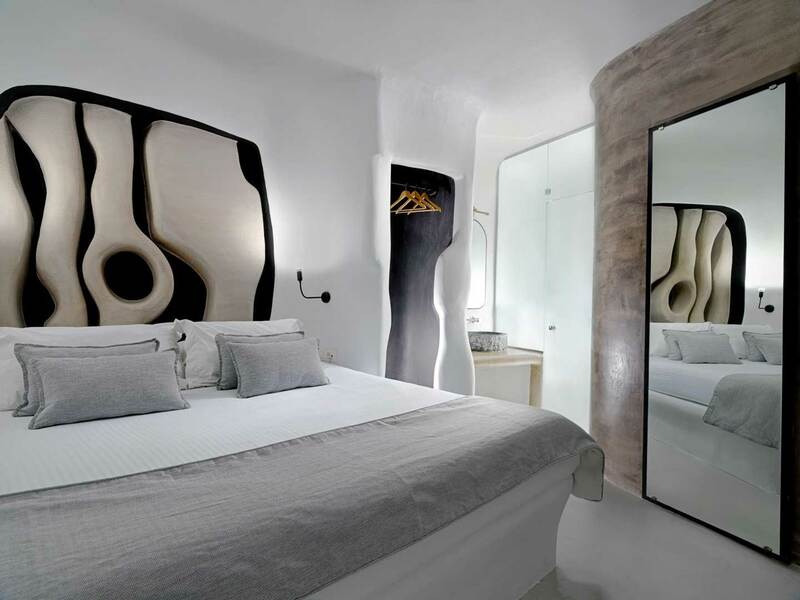 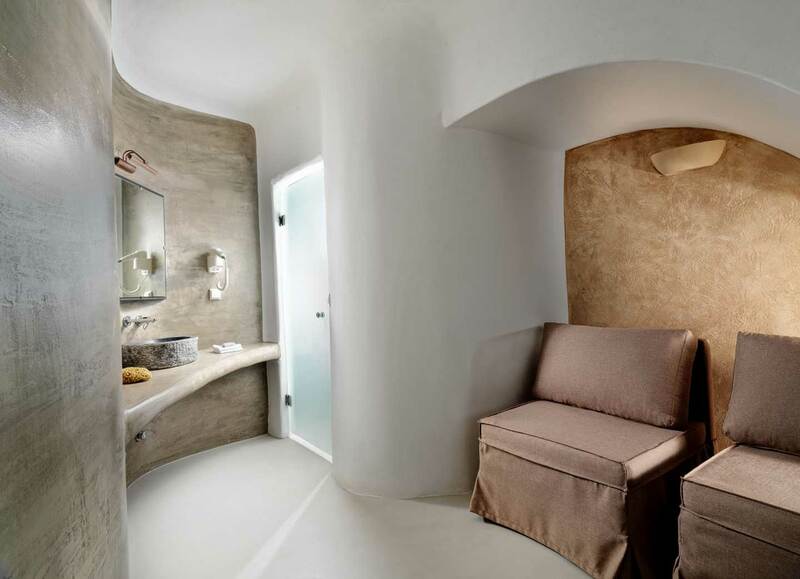 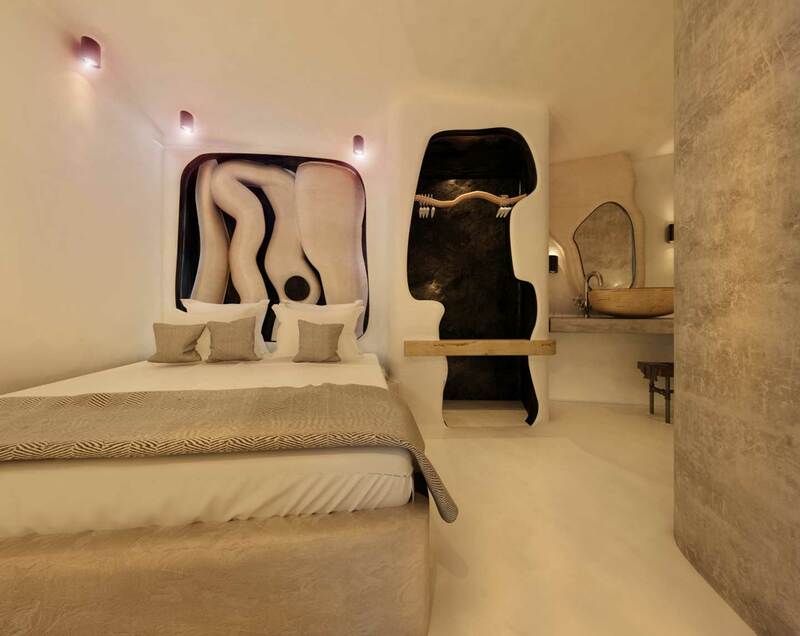 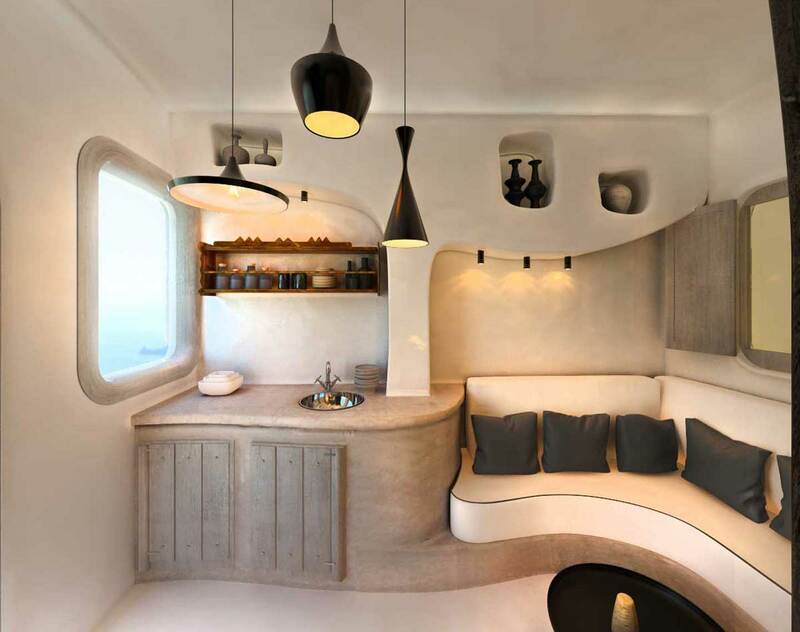 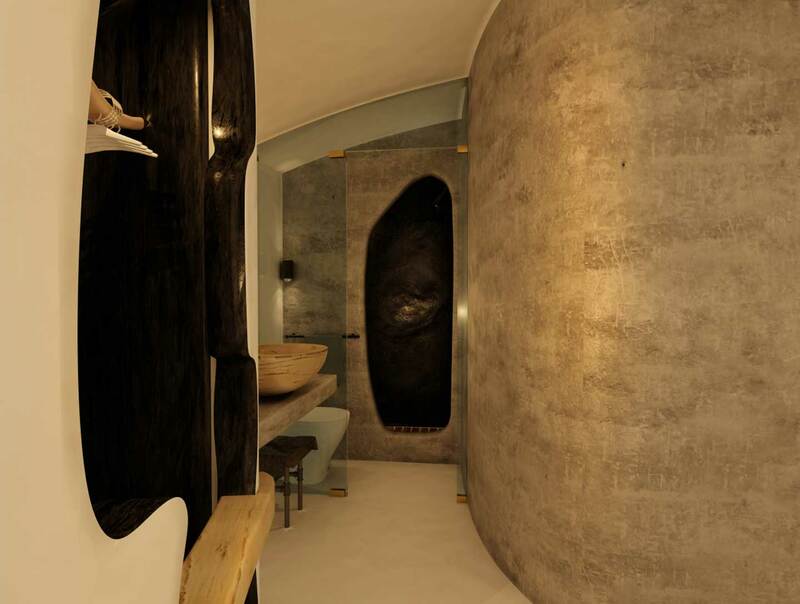 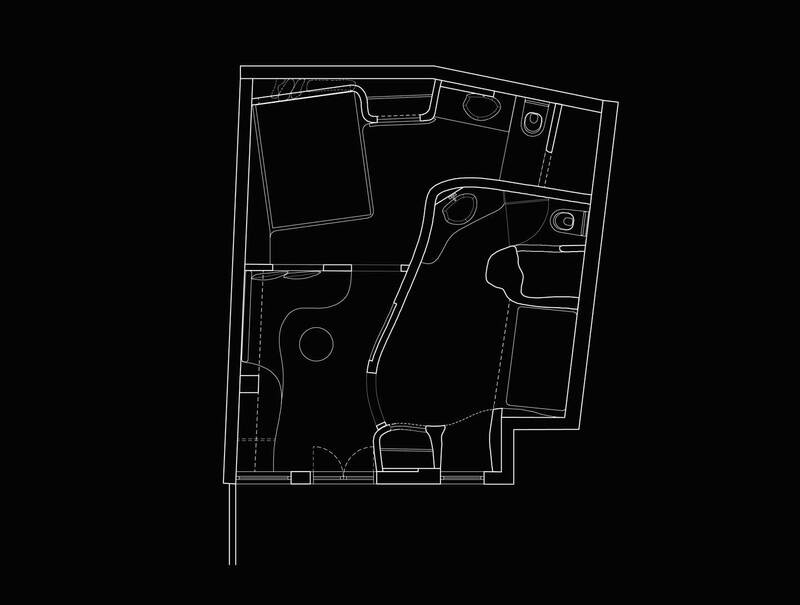 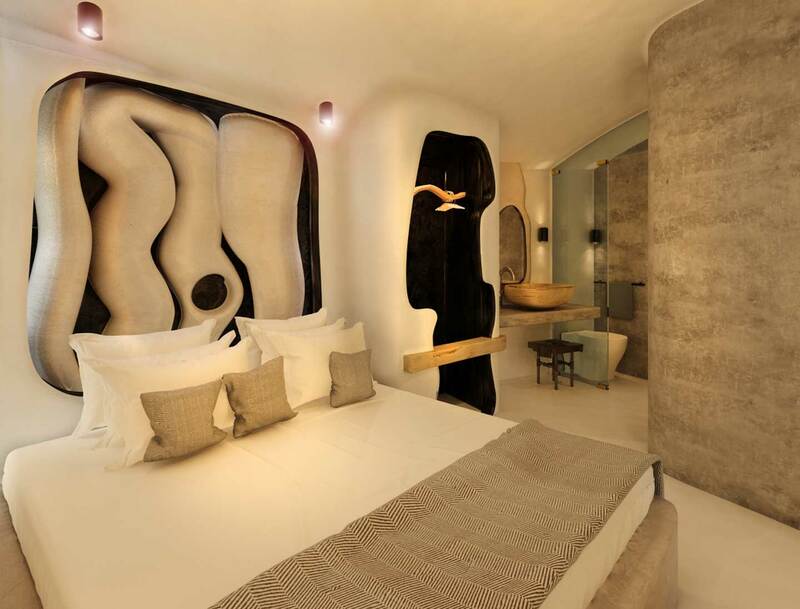 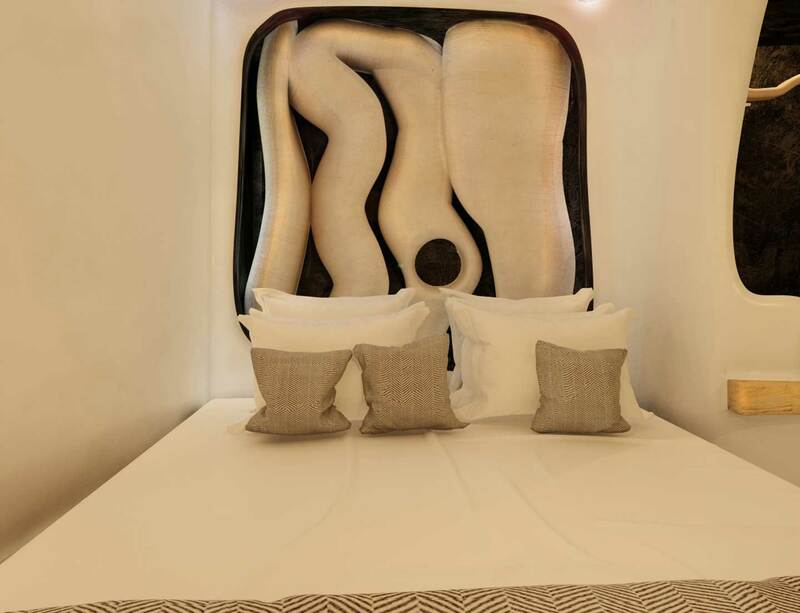 The design idea for this suite aimed at creating a cave-like space, with flowing forms and sculptural elements. 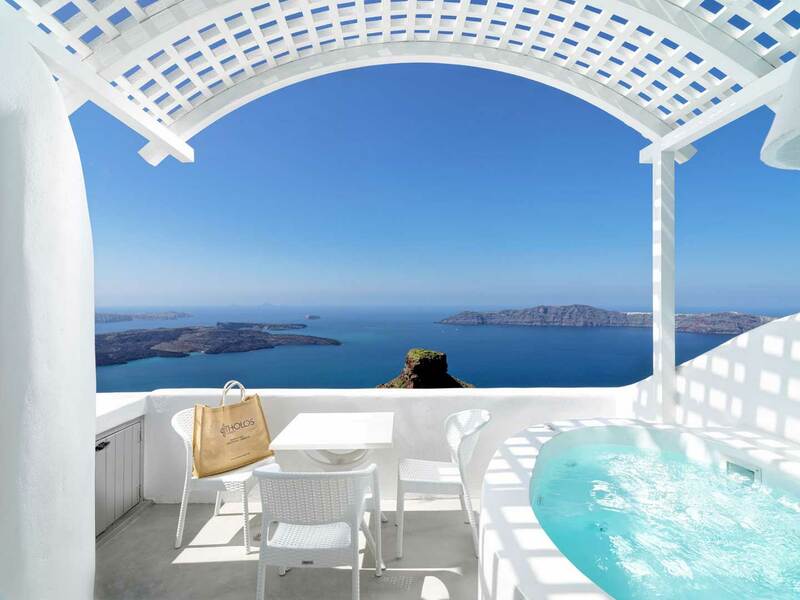 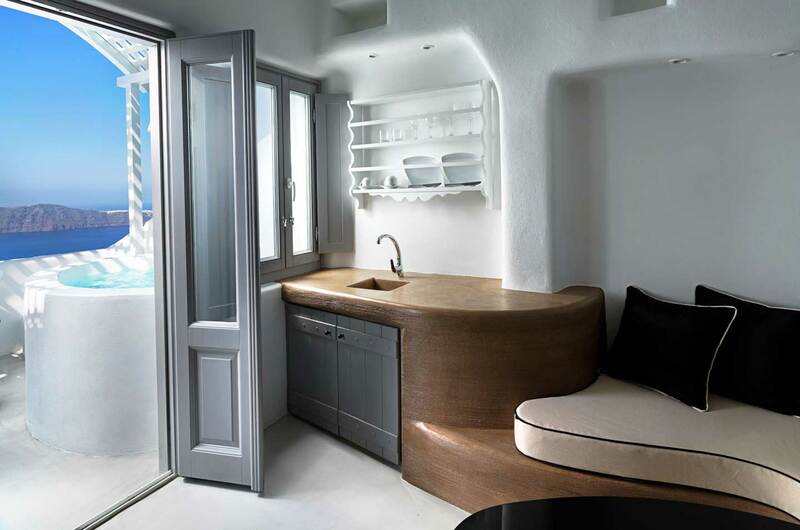 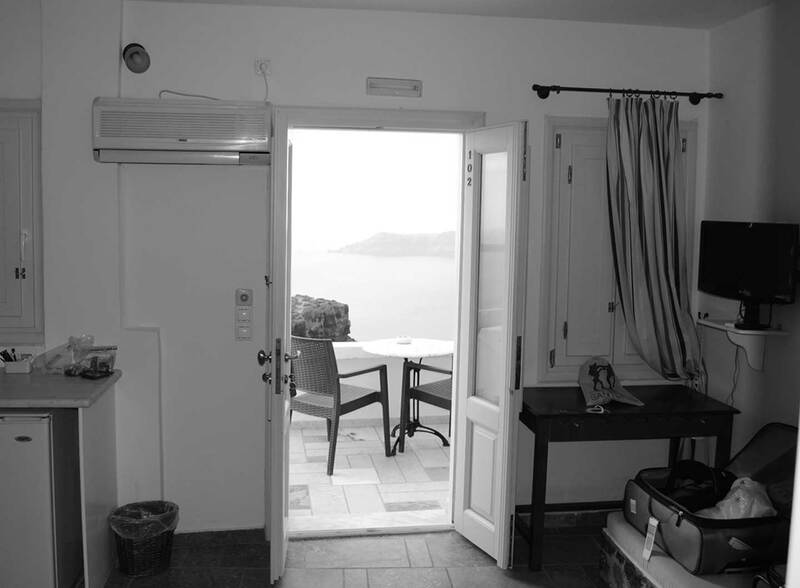 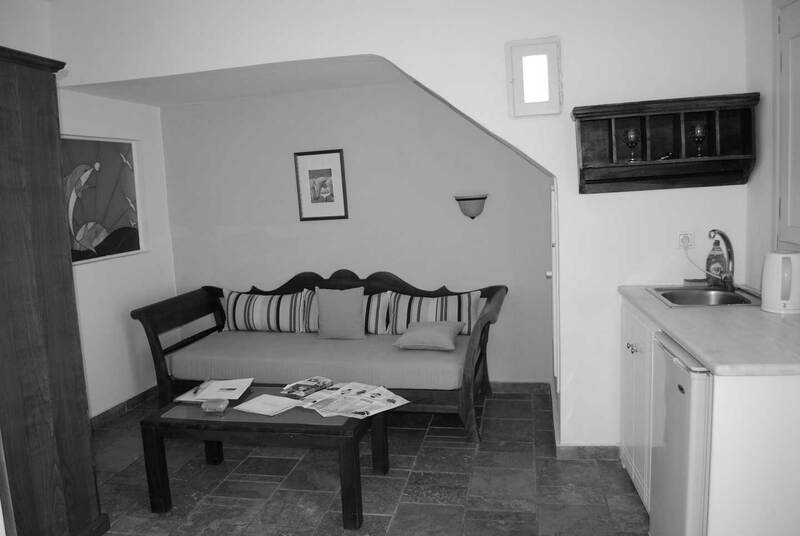 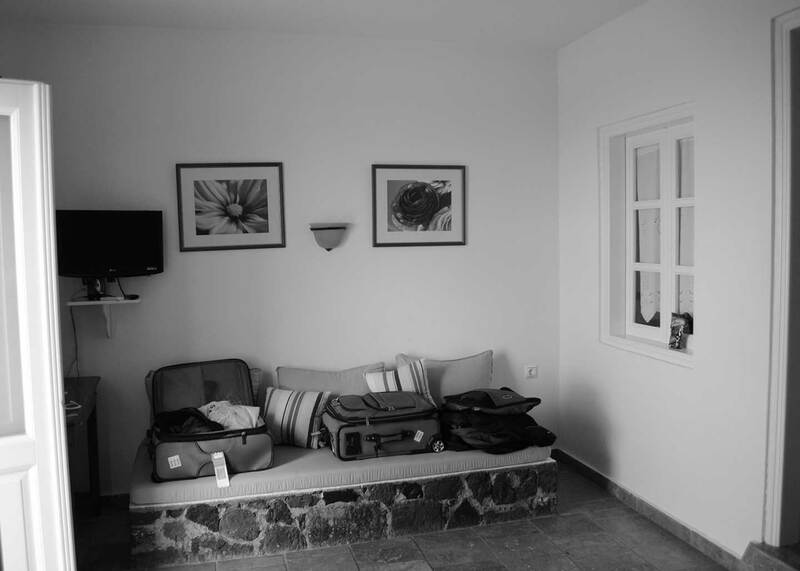 The coupling of these forms with the Santorini tradition gave us the opportunity to playfully explore and reinterpret the Cycladic architectural motifs. 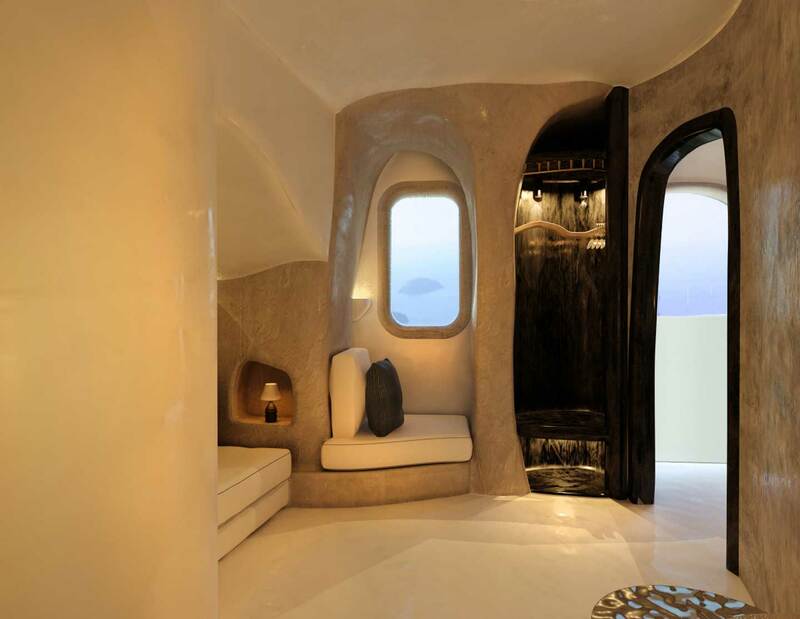 The visitor is invited to discover the stage-like space we have created and to enjoy a unique experience.